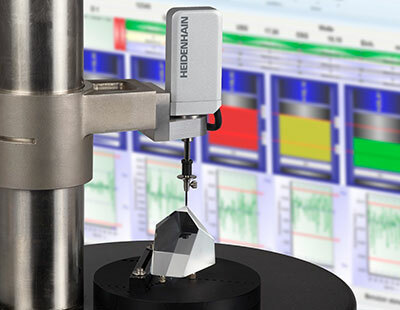 The HEIDENHAIN-METRO MT 1281MW length gauge is particularly suited for such demanding measuring tasks. For measurements with a gauging force of nearly 0 (0.01 N to 0.07 N), it includes a specially paired insert with an exchangeable measuring pin. These extremely low values over a measuring range of 12 mm are also possible thanks to the ball-bush guide with very constant friction conditions and the constantly improving measuring force over the course of five million measuring cycles. If you are looking for a new HEIDENHAIN-METRO MT 1281MW length gauge then you are welcome to contact us for more information on pricing, availability, time for you to receive the part and even help with installation or calibration. Here is a PDF on all Heidenhain length gauges: click here. You also may watch a short YouTube video on the MT 1281 MW part at this link. Thank you and we look forward to helping you with all of your Heidenhain parts needs.